The Pentagon has produced its first Department of Defense-wide Law of War Manual and the results are not encouraging for journalists who, the documents states, may be treated as “unprivileged belligerents.” But the manual’s justification for categorizing journalists this way is not based on any specific case, law or treaty. Instead, the relevant passages have footnotes referring to either other parts of the document or matters not germane to this legal assertion. And the language used to attempt to justify this categorization is weak at best. So far the manual has received little press, but both The Washington Times and Russia Today covered it. The Moscow-funded global news outlet Russia Todayquoted Chris Chambers, a Georgetown University undergraduate communications professor, saying that the manual gives U.S. military forces “license to attack” journalists. At 1,180 pages long and with 6,196 footnotes, the manual includes vague and contradictory language about when and how the category of “unprivileged belligerents” might be applied to journalists. It ignores the most relevant cases where the U.S. military detained war correspondents and accused them of being–using the term coined by Pentagon officials in the 2000s–“unlawful combatants,” without producing evidence or bringing even one accused journalist to trial. The manual mentions international human rights treaties and declarations, but ignores the most important one, the Universal Declaration of Human Rights, which deals most clearly with the right to free expression and the press. The Law of War manual is the Defense Department’s most ambitious endeavor of its kind to date. Yet its authority already seems in doubt. 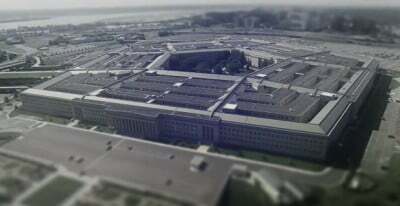 The last paragraph in the preface written by lead author and top Pentagon lawyer, Stephen W. Preston, is a disclaimer stating that, while the manual represents the views of the Defense Department, it does not necessarily represent the view of the government. Weeks after the document was released, Preston, who previously served as general counsel to the CIA, resigned quietly without any public notification. He could not be located for comment. “Unprivileged” means the suspect is not entitled to the rights afforded to prisoners of war under international law and can instead be held as a criminal suspect in a category that includes suspected spies, saboteurs, and guerrillas. Prisoners of war are protected internationally with rights that include being treated humanely, having their status as prisoners reported to a neutral body such as the International Committee of the Red Cross, and being held with the expectation of release once hostilities end. “Unprivileged belligerents,” however, like “spies, saboteurs and other persons engaging in similar acts behind enemy lines,” according to the Law of War Manual, may be subject to domestic laws. The domestic penalties for such suspects can include, for instance, the death penalty for those found guilty of spying. “In general, journalists are civilians. However, journalists may be members of the armed forces, persons authorized to accompany the armed forces, or unprivileged belligerents,” reads the manual. While the document notes in other parts that journalists can work independently, in this section it fails to explain under what circumstances, or for what kinds of activities the category “unprivileged belligerents” could be applied to journalists. A Pentagon spokesman offered a few examples. “The fact that a person is a journalist does not prevent that person from becoming an unprivileged belligerent,” U.S. Army Lieutenant Colonel Joe Sowers, of the Pentagon’s Office of the Assistant Secretary for Public Affairs, told The Washington Times. Sowers pointed to the al-Qaeda publication Inspire, saying that propagandists for terrorist groups could be categorized as unprivileged belligerents. So could enemy spies who use journalism as a cover, he added. But the language in the Pentagon manual seems to at least qualify one of the spokesman’s claims. In footnote 241, which refers to section 2.24.1 on independent journalists, the manual cites a U.N. report to the International Criminal Tribunal for the former Yugoslavia. “Whether the media constitutes a legitimate target group is a debatable issue. If the media is used to incite crimes, as in Rwanda, then it is a legitimate target. If it is merely disseminating propaganda to generate support for the war effort, it is not a legitimate target,” it states. Sami al-Haj, an Al-Jazeera cameraman, was detained in December 2001 by Pakistani forces along the Afghan-Pakistani border while covering a U.S.-led offensive against the Taliban in Afghanistan. U.S. military forces accused the Sudanese cameraman of being a financial courier for armed groups and assisting al-Qaeda and extremist figures, but never provided evidence to support the claims,CPJ found in its 2006 report “Sami al-Haj: The Enemy?” Al-Haj, who is now is head of the human rights and public liberties department at Al-Jazeera, was held for six years at the U.S. military base in Guantanamo, Cuba. Prior to releasing him, U.S. military officials tried to compel al-Haj to agree to spy on Al-Jazeera as a condition of his release, his lawyer, Clive Stafford Smith, told CPJ and media outlets. U.S. military authorities made similar, unsubstantiated claims about AP’s Hussein and Al-Jazeera’s al-Haj, whose cases the manual ignores. Instead the manual offers its own perspective on how journalists covering conflict should operate. As any conflict reporter knows, the idea of finding relevant authorities and seeking permission to report on a battlefield would be as unlikely as it would be unwise. Who constitutes relevant authorities is often impossible to determine in shifting battle lines. Moreover, the manual’s language seems to weaken the point of other passages that affirm the right of independent reporters to be on the battlefield. Finally, the language in paragraph 4.24.5 “Security Precautions and Journalists” simply contradicts the post-World War II norm of a free press. “States may need to censor journalists’ work or take other security measures so that journalists do not reveal sensitive information to the enemy. Under the law of war, there is no special right for journalists to enter a State’s territory without its consent or to access areas of military operations without the consent of the State conducting those operations,” it says. To delay journalists who are embedded with the military from filing information that could be of use to an enemy for a reasonable period of time is one thing. But to flatly ban journalists from conflict areas, or to restrict or censor them from filing allegedly sensitive information, which the manual fails to specify or explain, would be a violation of international documents such as the Universal Declaration of Human Rights. Under Article 19, the declaration affirms not only the right to free expression, but the right to “receive and impart information through any media and regardless of frontiers.” The manual ignores it, even though the declaration was conceived and sponsored by the U.S. Authors involved in some of the manual’s earlier drafts argued in The Weekly Standard that prior drafts were too deferential to human rights concerns due to the influence of Obama administration State Department political appointees and human rights activists on the National Security Council. The manual goes on to note that “human rights treaties would clearly be controlling with respect to matters that are within their scope of application and that are not addressed by the laws of war,” using language suggesting that a compromise may have been reached to try to find balance. The manual ignores many other scholars. While it includes 21 citations, for instance, to a 1923 Commission of Jurists to Consider and Report Upon the Revision of the Rules of Warfare, the manual arguably ignores more relevant documents, including a 2009 International Commission of Jurists report on the Eminent Jurists Panel on Terrorism, Counter-terrorism and Human Rights (to which I testified on behalf of CPJ about the U.S. treatment of journalists). By giving approval for the military to detain journalists on vague national security grounds, the manual is sending a disturbing message to dictatorships and democracies alike. The same accusations of threats to national security are routinely used to put journalists behind bars in nations including China, Ethiopia, and Russia to name just a few. The message the manual sends to U.S. forces may have serious repercussions for press freedom and conflict journalists for years to come. By simply declaring a journalist an “unprivileged belligerent,” military commanders may now well claim the right to be able hold journalists for long periods outside the normal laws of war.